Performers, singers, and public speakers routinely test out their microphones before a show starts. 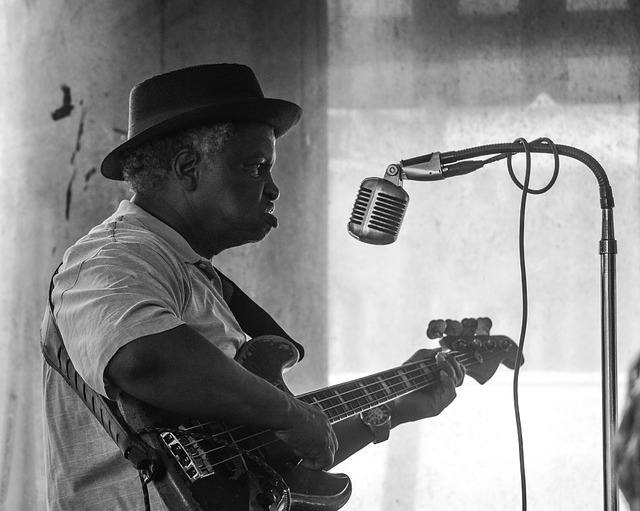 This could seem mundane but the audio quality (or problems) can make or break the entire performance, so performers always check to see if their equipment is working before letting their hard work go to waste. So, what do performers testing their microphones have to do with conferencing, you ask? Much like performers about to put on a show, people hosting or calling into conferences can quickly test out their call ahead of time to make sure they are able to connect successfully either over the phone or over the internet for their virtual meeting. Although free conference call services are designed to be easy to use and reliable, it never hurts to do a test call beforehand. In fact, taking 60 seconds to test out your call prior to your conference can help you prepare better for your upcoming conference and potentially save you from the embarrassment of an equipment malfunction during your meeting. Based on the experiences of the FreeConference Customer Support Team, here are 6 situations when you should definitely test your call first. When using a different computer or mobile device to call into a web conference for the first time, it is always a good idea to test the call first to make sure the device, browser, and operating system are compatible with the conferencing platform. You’d always prepare before walking into an in-person job interview, so why wouldn’t you do the same prior to interviewing for a position over the internet? Video conferencing makes it easy and convenient for employers and job hunters to hold virtual meetings anywhere in the world but it’s always good for interviewers and interviewees to test their own lines first. Whether you’re calling over the internet or connecting over the phone using one of the 40+ international call-in numbers available from FreeConference, it’s easier than ever to host or join a conference from anywhere in the world.Wherever you are, test call your conference beforehand to make sure you can connect without an issue. Not all internet connections and networks are created equal. Before your upcoming online meeting, make sure your internet connection is strong enough to allow you to join your web conference and keep you connected for as long as you need. This is also a good opportunity to make sure no network firewalls are preventing you from joining your conference over the internet. Maybe you’re pitching to a business client, connecting with colleagues, or hosting a webinar. Whatever the reason for your conference, you’ll want to make sure everything is functioning smoothly on your end so that you can appear prepared and professional when it’s conference time. If you’re new to hosting web conferences, you should probably test out the platform and its features before diving right into your first online meeting. This way, you can familiarize yourself with the procedure for joining a web conference as well as using the moderator controls available to you in the online meeting room. 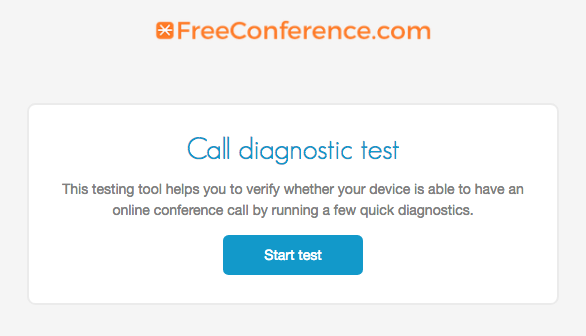 FreeConference.com’s built-in online call diagnostic test makes it easy to test your call before your free Conference call begins. This quick 5-point test checks your microphone, audio playback, audio input, connection speed, and video to make sure your systems and equipment are properly connected and ready for use during your conference call. Tip: You can find the connection test by clicking under ‘MENU’ at the top of your online meeting room screen.